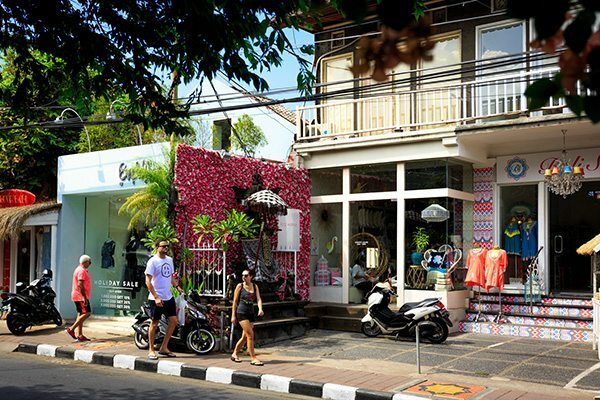 Our Seminyak sanctuary is located in the heart of Seminyak close to amazing shopping and the beach yet in a peaceful very quiet cul-de-sac. 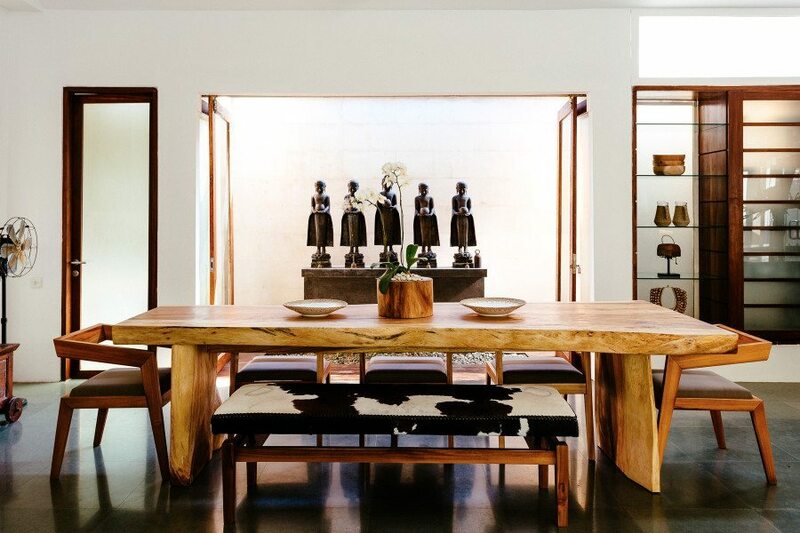 Once you open the doors to our purpose designed wellness retreat, one of our quietest sanctuary locations awaits. 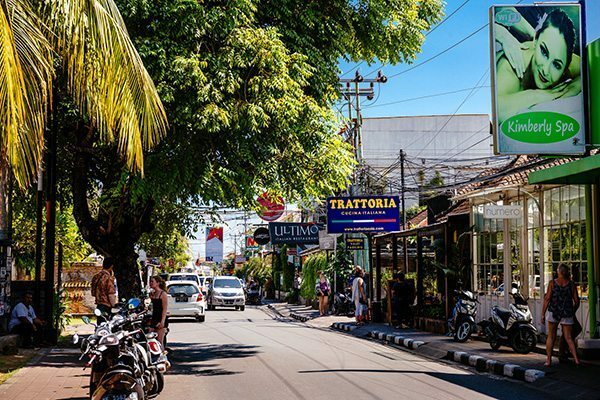 Immerse yourself in the back lanes of metropolitan Seminyak, only a 5 minute walk from popular shops, cafes, restaurants and a 12 minute stroll to the beach. 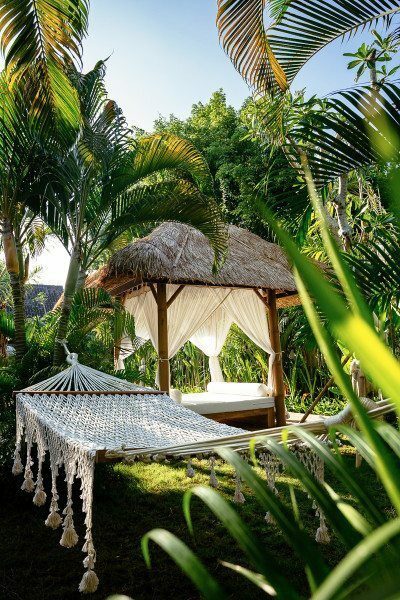 At our beautifully appointed Seminyak sanctuary Bali retreat we have an on-site yoga shala, two gorgeous outdoor living and dining spaces, daybeds around the sparkling pool, a beautiful shaded meditation pod to retreat into as well as an amazing tropical garden, with a massage bale overlooking the pool. 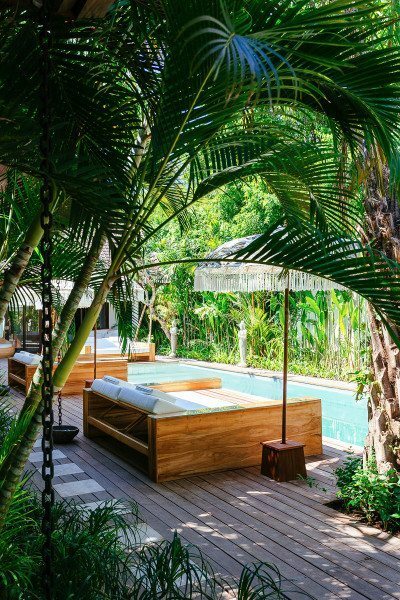 There are so many poolside lounges and places to escape in this luxe environment for massages, meditation, sun-baking, reading and ultimate peace and relaxation. 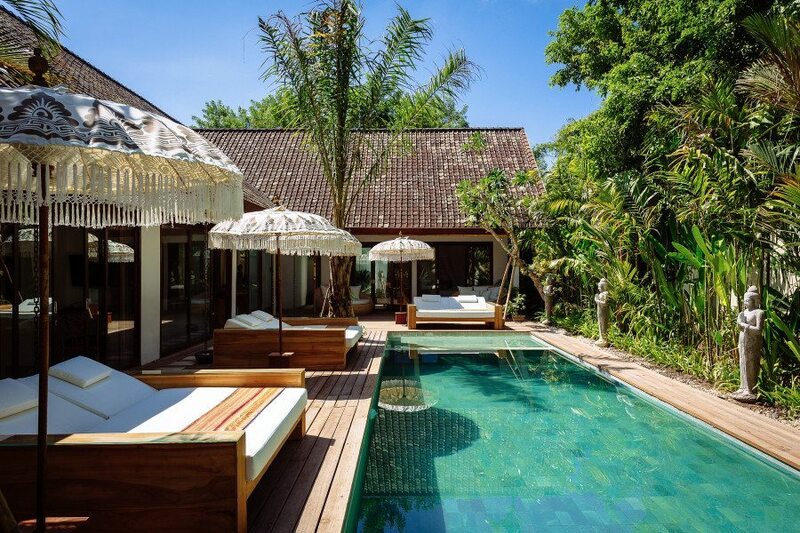 An ultimate Yoga retreat. 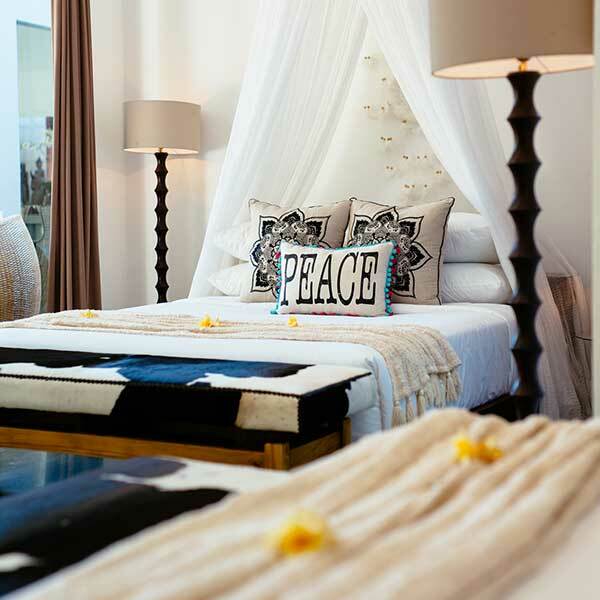 This gorgeous renovated sanctuary has been hand selected and purposely created specifically for our guests. 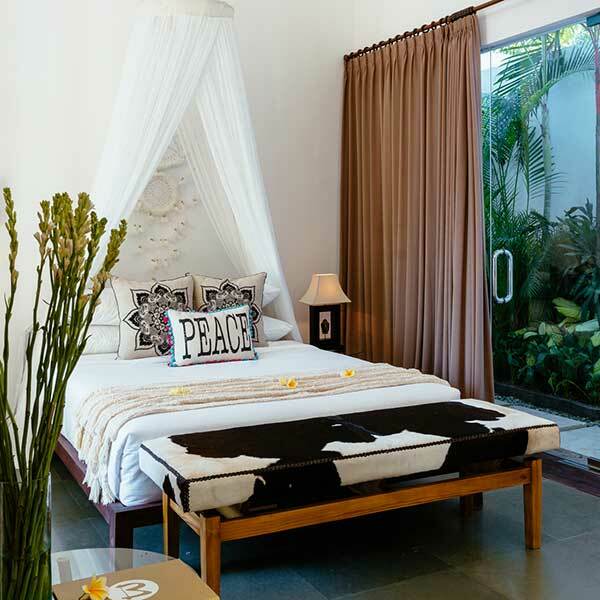 A holistic retreat environment befitting the Bliss Sanctuary For Women name. 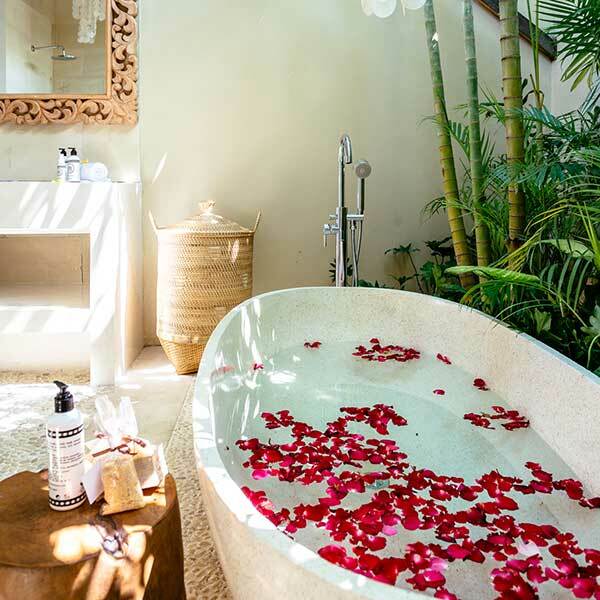 You will be surrounded by beauty and love, along with our caring making your experience one that you will never forget and will want to come back for… A personalised health & wellness retreat just for you. 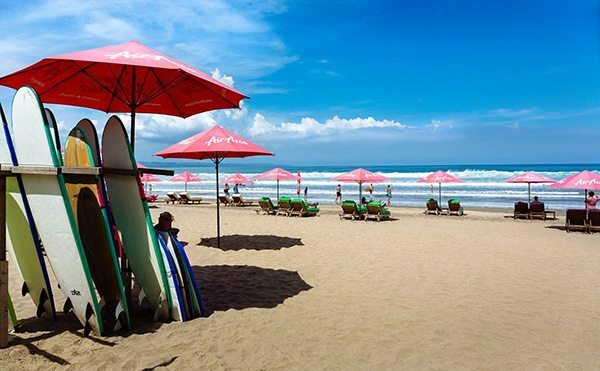 Gorgeous location in cosmopolitan Seminyak in a very quiet and central location. 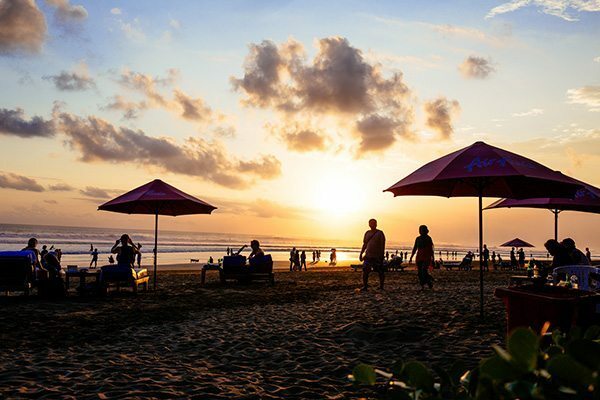 5 – 10 minute walk to Seminyak bars, shops, restaurants and beach. 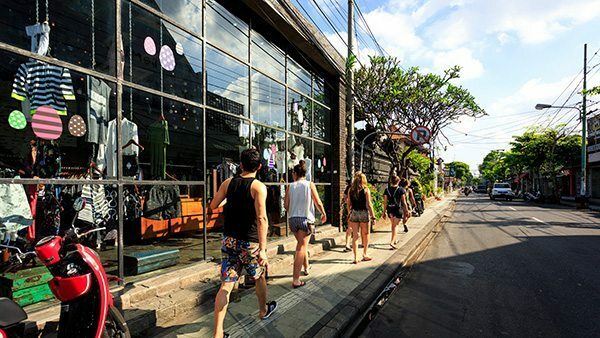 you ask for and in my experience, they do deliver. 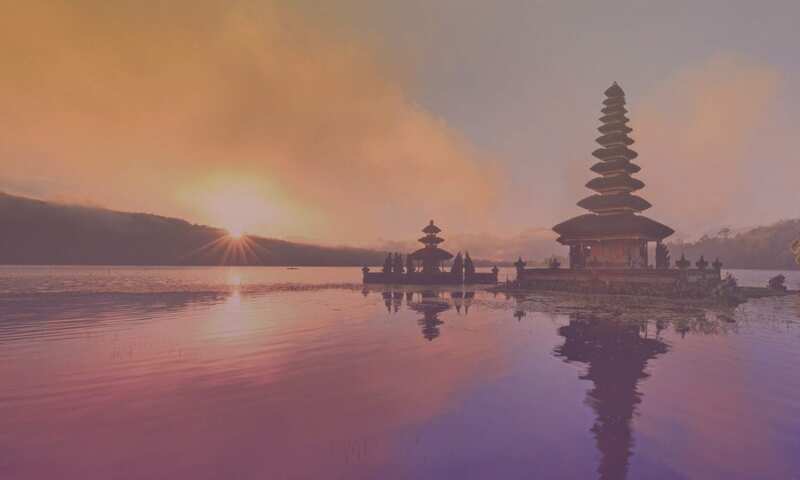 - it was all provided and organised for me.  Bliss Sanctuary was more than I ever imagined! 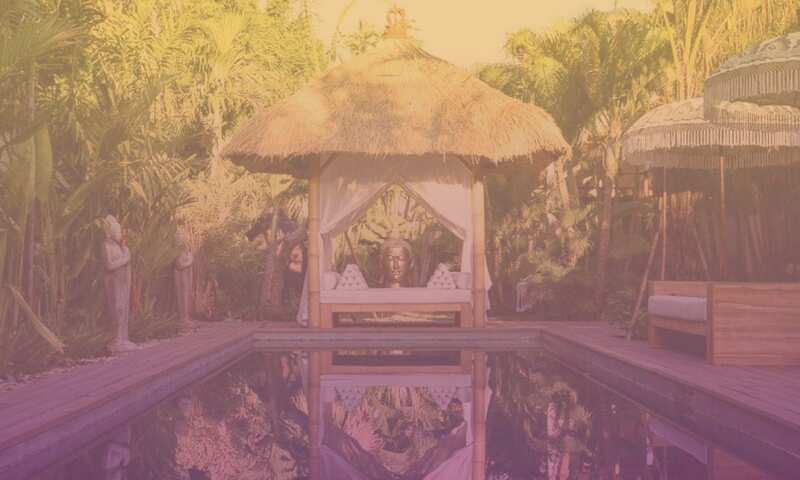 ❝I have left Bliss feeling more like ME than I have in 15 years. 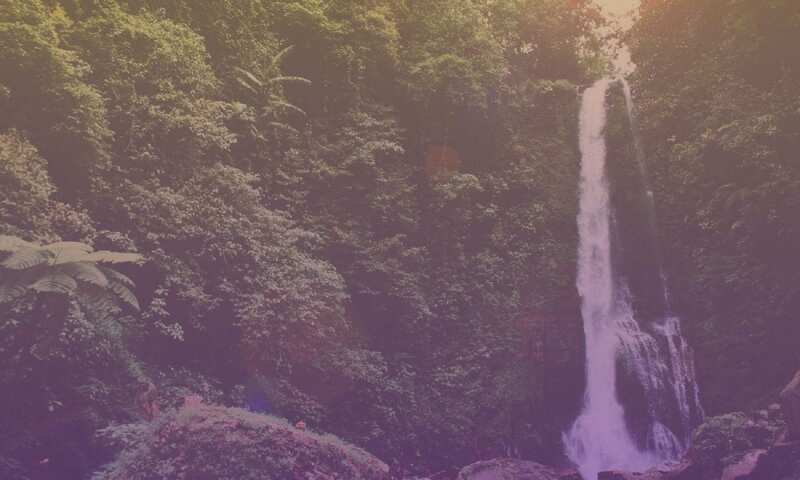 ❝I feel so blessed to have found Bliss. 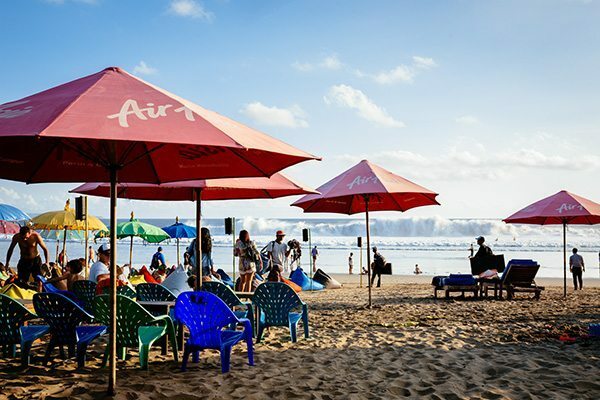 to experience this. It was truly life changing. 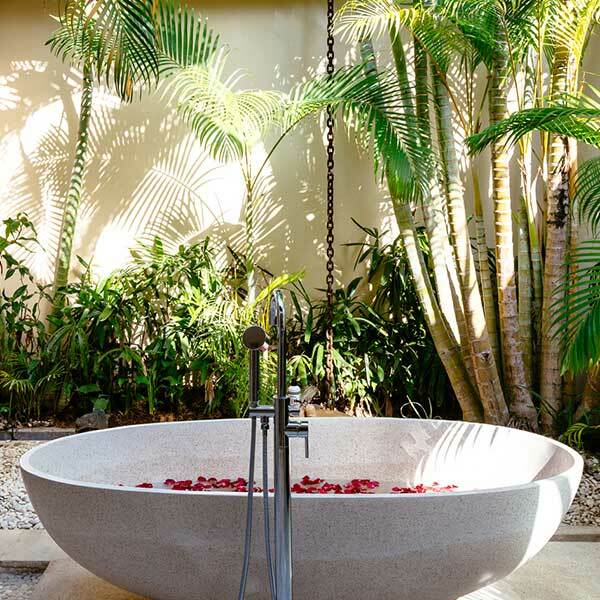 From the moment you step in it is pure indulgence.  As many massages and treatments as you want. Amazing food any time of the day. 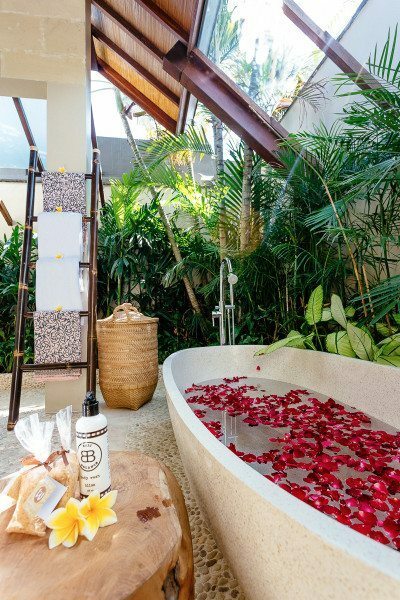 ❝Words cannot even begin to describe my stay at Bliss Sanctuary. 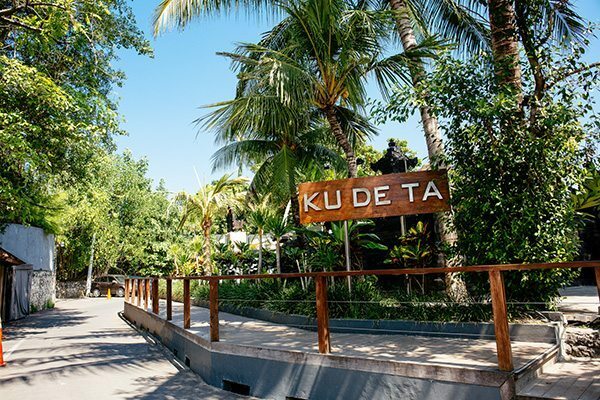 well maintained.The food is unbelievably delicious! 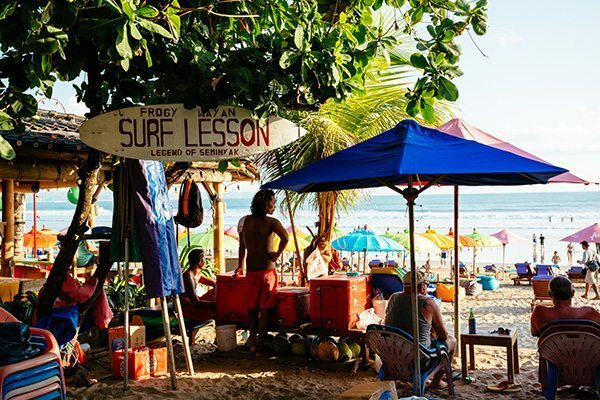 a bunch of fabulous, like-minded women from all over the world. 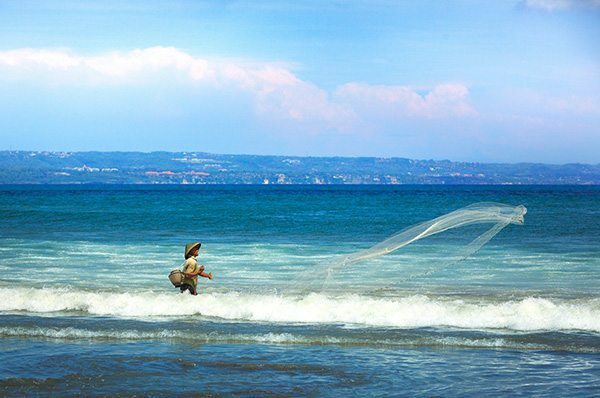 but with a spring in my step and a renewed hunger for life! 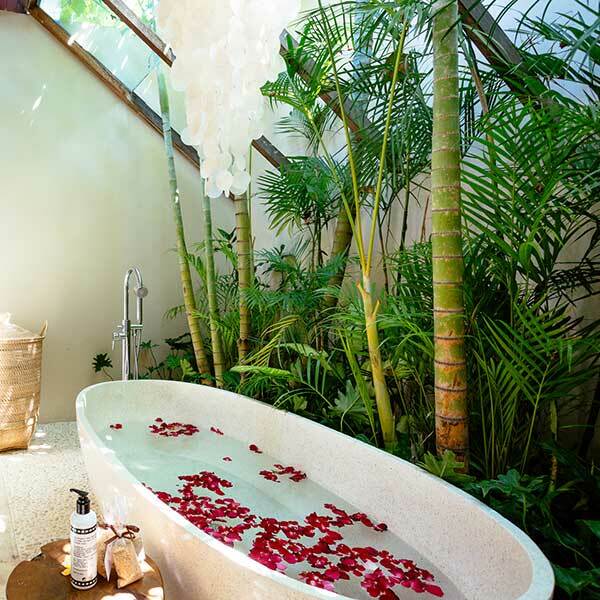 to runaway and instead left healed, pampered, re-energised and balanced. 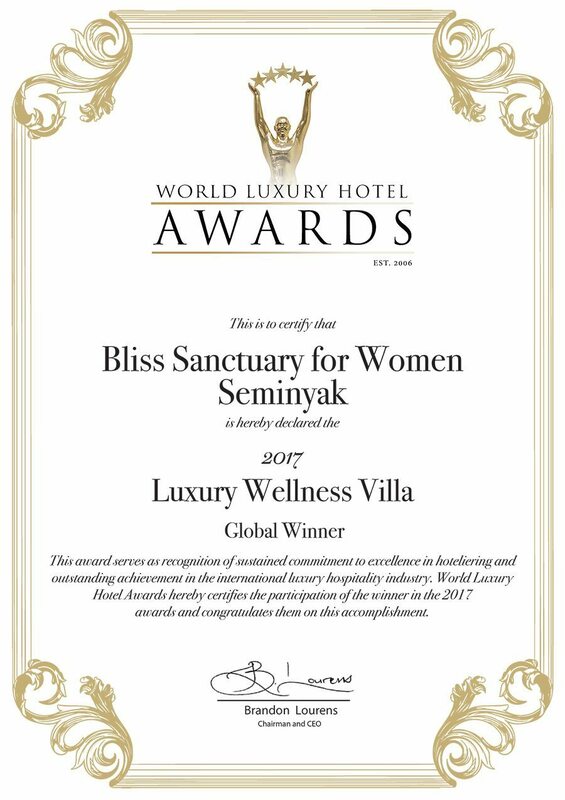 We are so blessed and humbled that our Seminyak Sanctuary won so many amazing awards at the prestigious first class World Luxury Hotel Awards even being open just over 12 months at the time of voting! 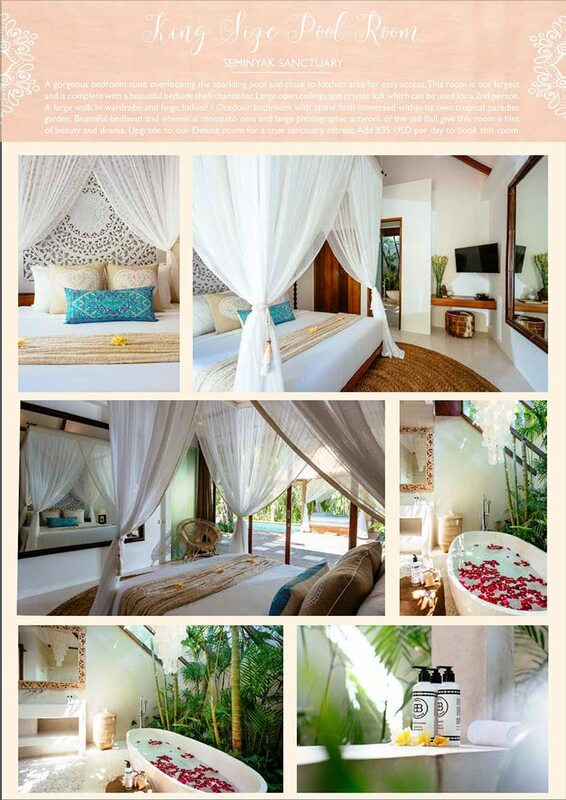 So we are the WORLD’S most Luxurious Wellness Villa. 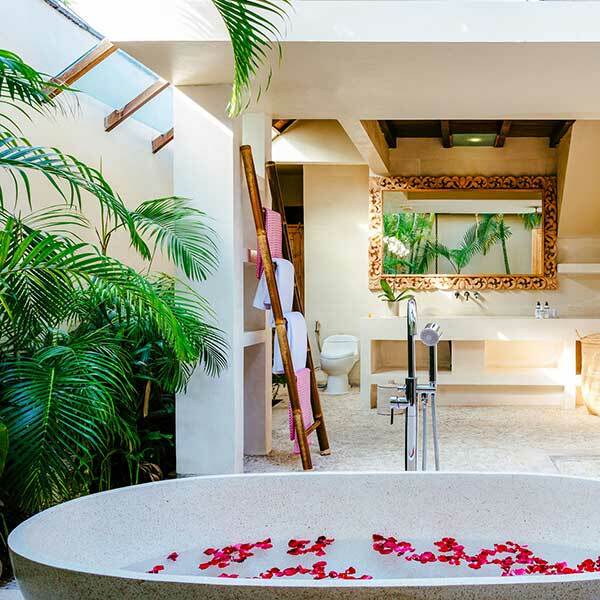 Literally voted the best Wellness Villa in the World. 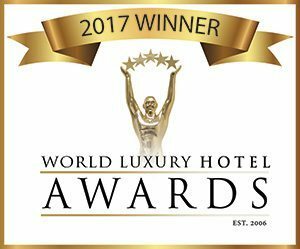 We are in awe of this and this award is dedicated to all of our staff, our healers, our therapists, our cooks, our drivers, our gardeners… every one of our team members who contributes in the dedication of creating an environment and experience for each guests wellness. 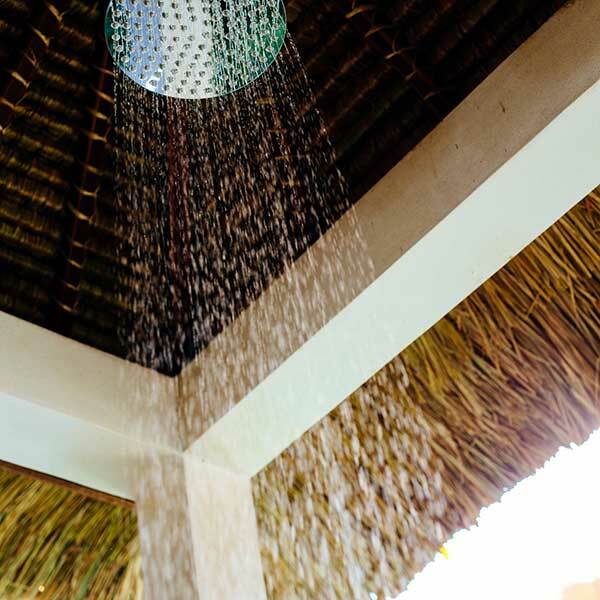 Each one knows how important it is for all of our guests to take this time out to focus on themselves and give their all. 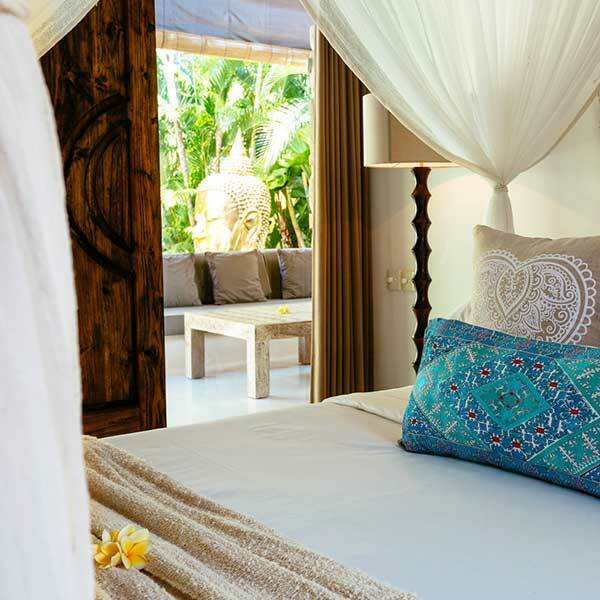 Our program is quite different to any other retreat or Wellness Hotel and as a Villa we are more exclusive and able to cater to your individual needs and with love. 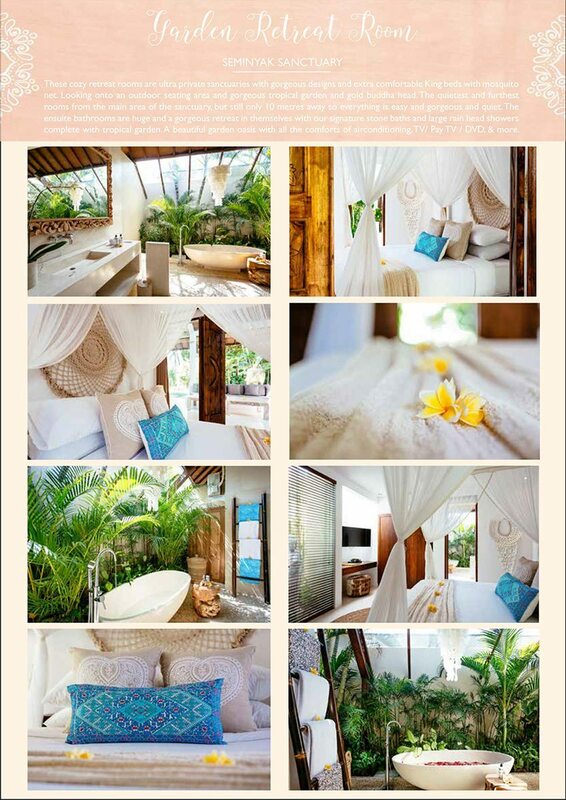 And at the same time we have been acknowledged as the best Luxury Wellness Hotel in the whole of Southern Asia. This is huge considering we are so exclusive with small numbers. 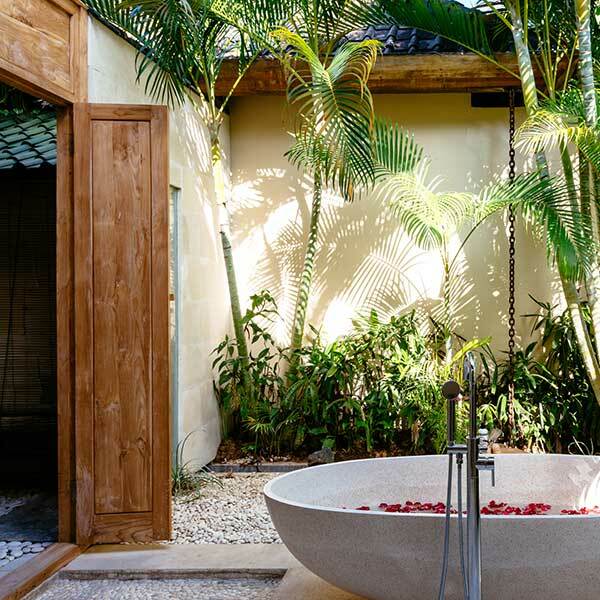 This Award is dedicated to all our healers and our therapists who not only do an amazing job connecting with our guests and helping them to reconnect to themselves, but you are also recognised as a Luxury Wellness Hotel, against Hotels with 100+ rooms. 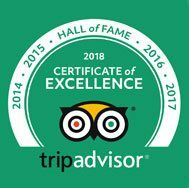 Thank you so much to our amazing guests who voted for us and who keep coming back again and again. 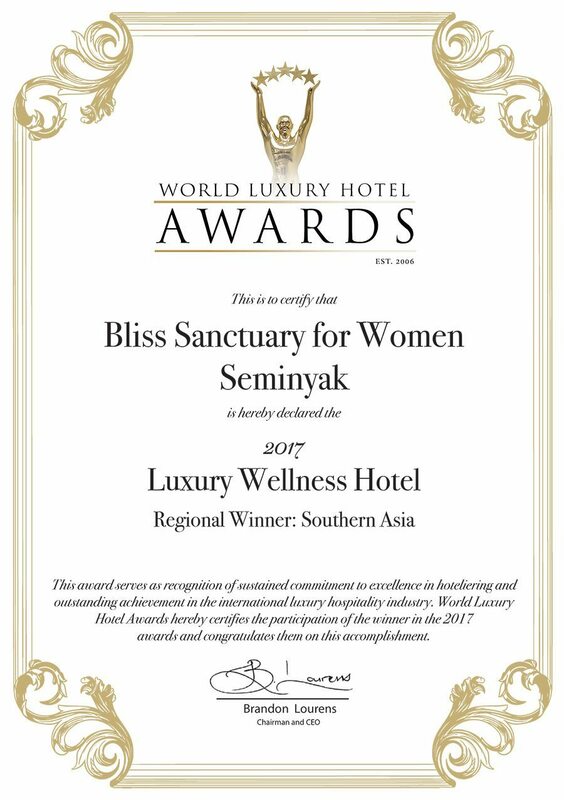 We also won awards for our Canggu Sanctuary, see the details here! 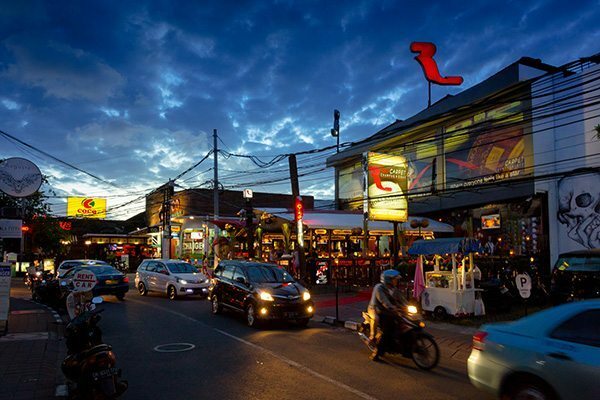 In the heart of Seminyak walking distance to shops and bars and beach, yet nestled in quiet cul-de-sac. 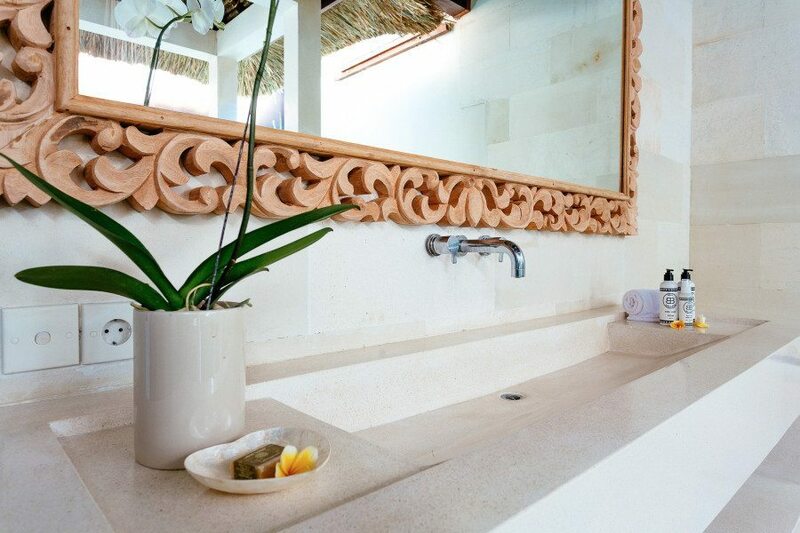 Stone floors throughout and newly renovated in chic Bohemian luxury decor. 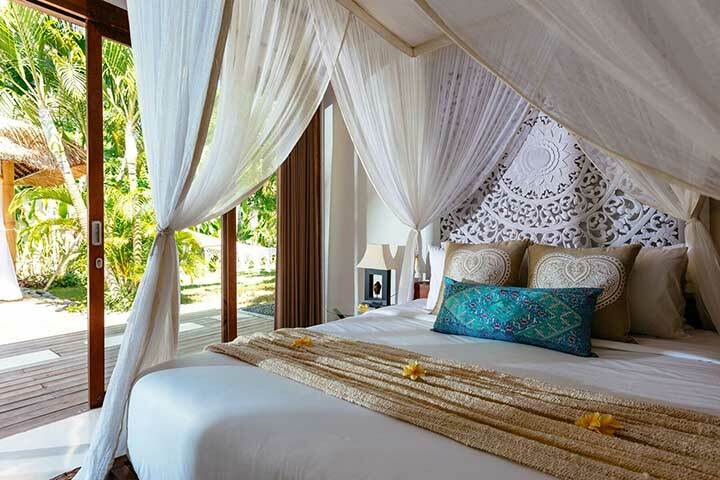 Luxurious beds with soft breathable fresh cotton linen and soft private mosquito nets. 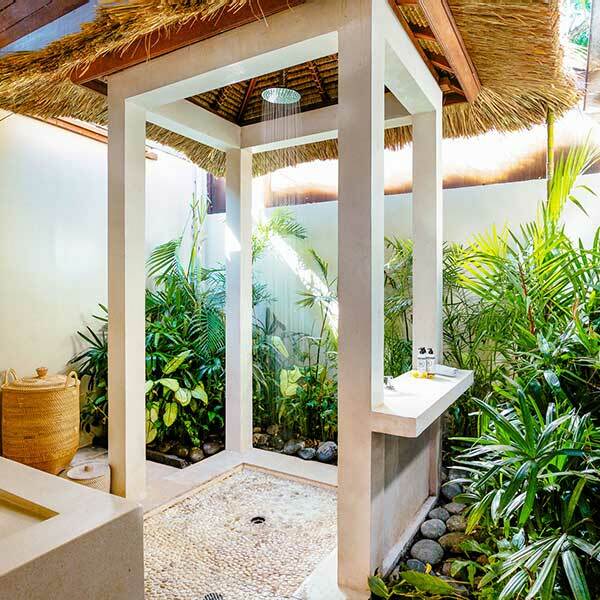 Your room within the 5 bedroom Villas has its own private bathroom with bathtub, shower and toilet. 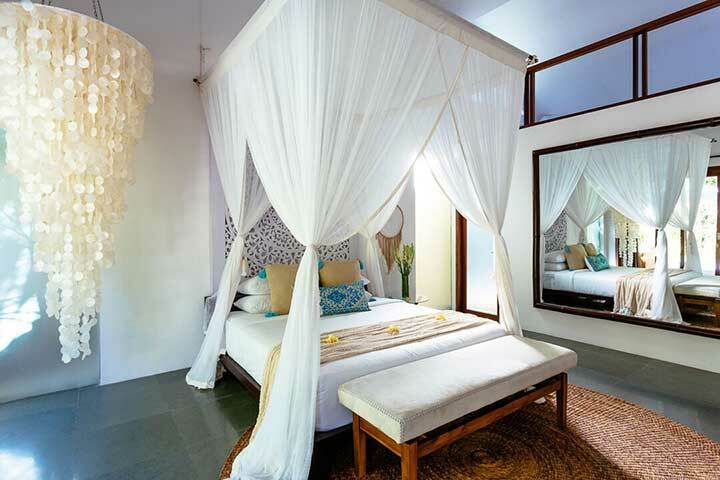 You will sleep in air-conditioned comfort on a comfortable Queen Size Bed with mosquito nets. 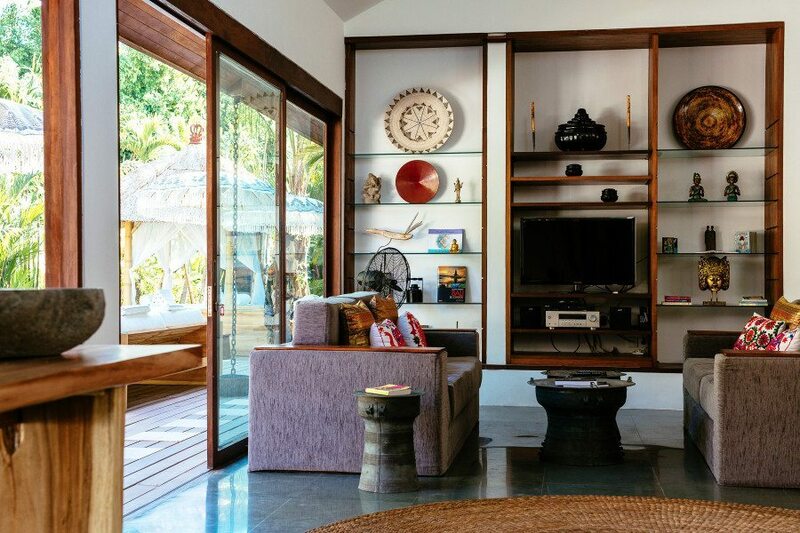 TV, Pay TV and DVD player are provided in each room with many current movies to choose from along with the classics of yesteryear. 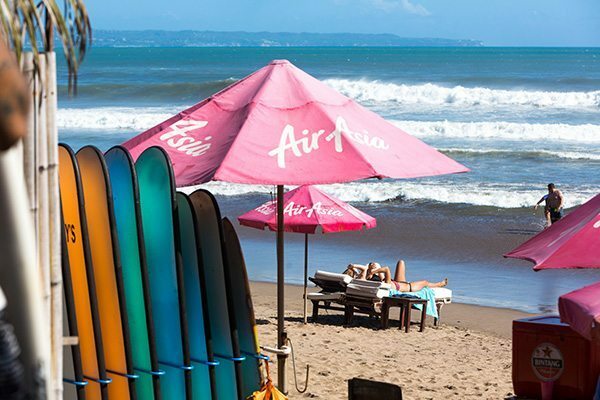 Handphones supplied for the duration of your stay. 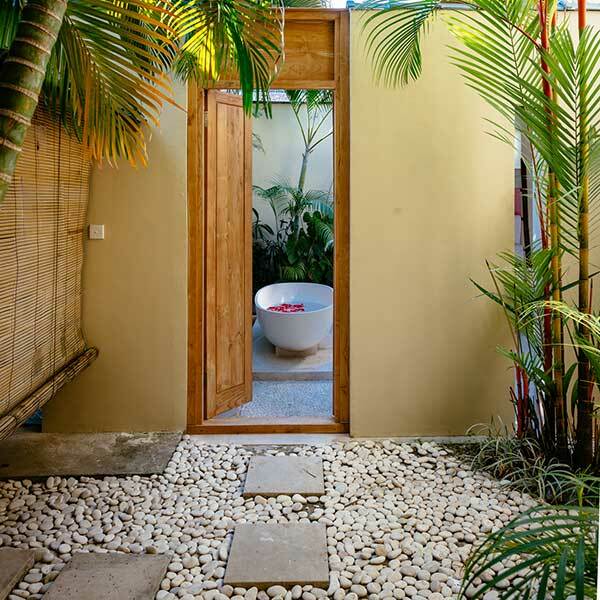 This is a perfectly shaped large double room giving each person ultimate privacy whilst sharing with a separate bathtub in it’s own private tropical garden space to the large outdoor bathroom with gorgeous centred rain shower amongst the garden. 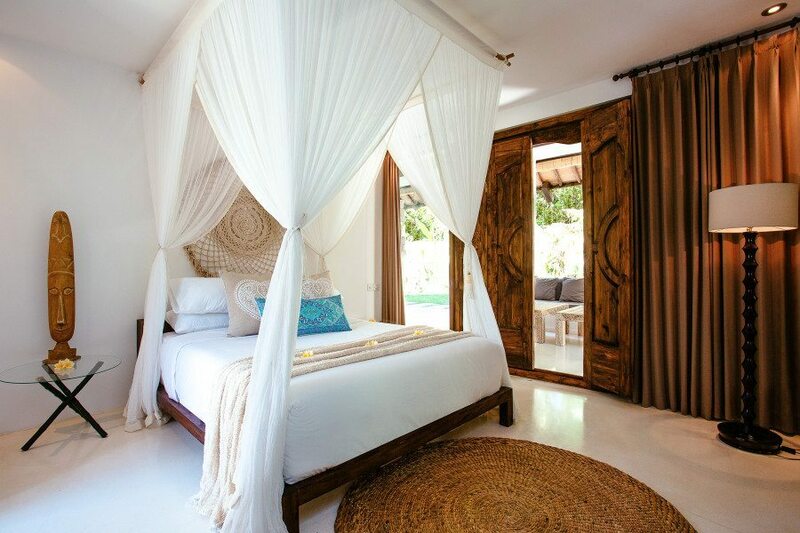 The beds are both King Size so there is no compromising a comfortable nights sleep by sharing in this room. 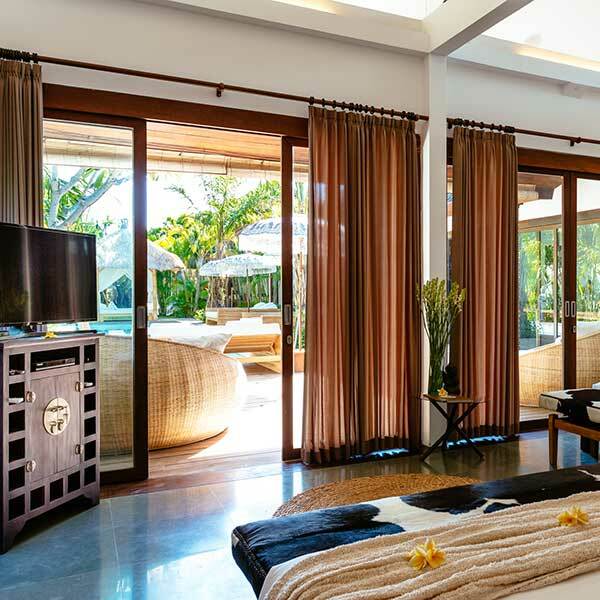 The rooms outlook is perfection seeing the full length of the pool through to pool Bale and through to the rest of the garden all the way down to our gorgeous gold Buddha head. 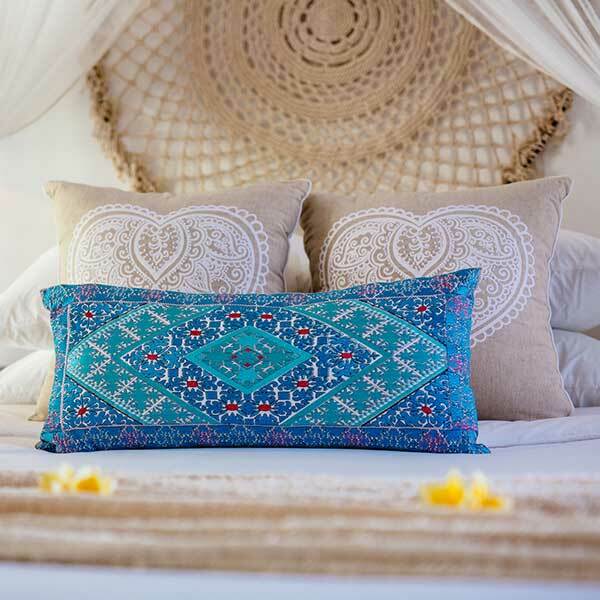 A blissful way to share your bliss with your friend or family member. 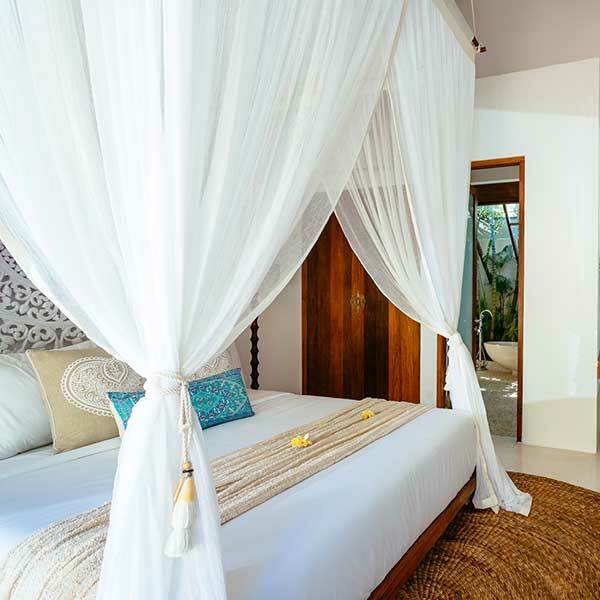 A gorgeous bedroom suite overlooking the sparkling pool and close to kitchen area for easy access. 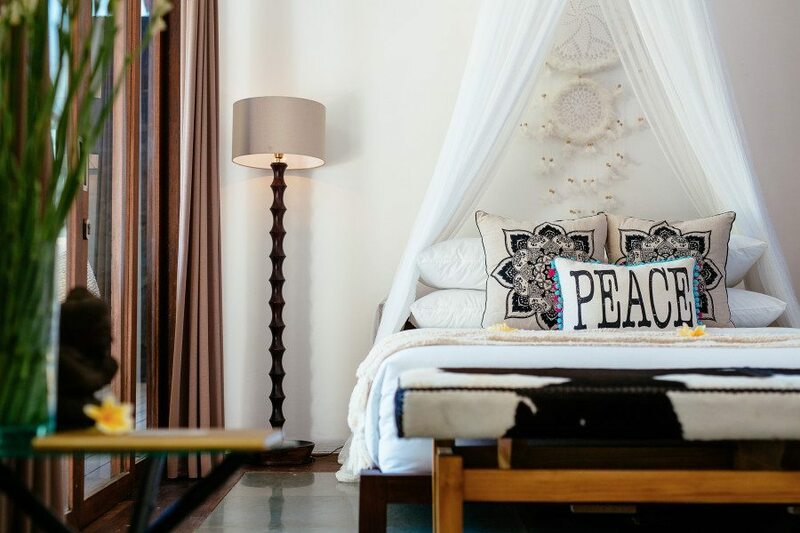 This room is our largest and is complete with a beautiful bedside shell chandelier, Large open ceilings and private loft which can be used for a 2nd person. 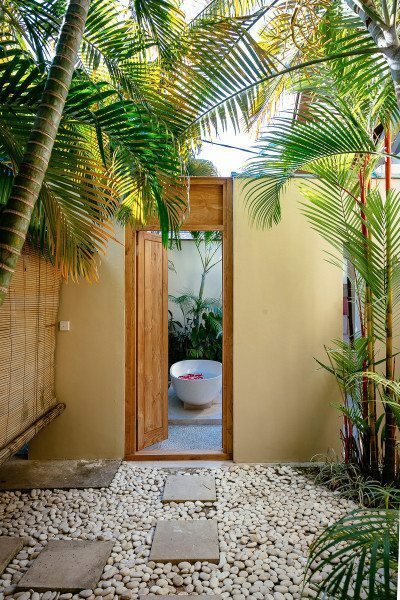 A large walk in wardrobe and huge Indoor / Outdoor bathroom with stone bath immersed within its own tropical paradise garden. 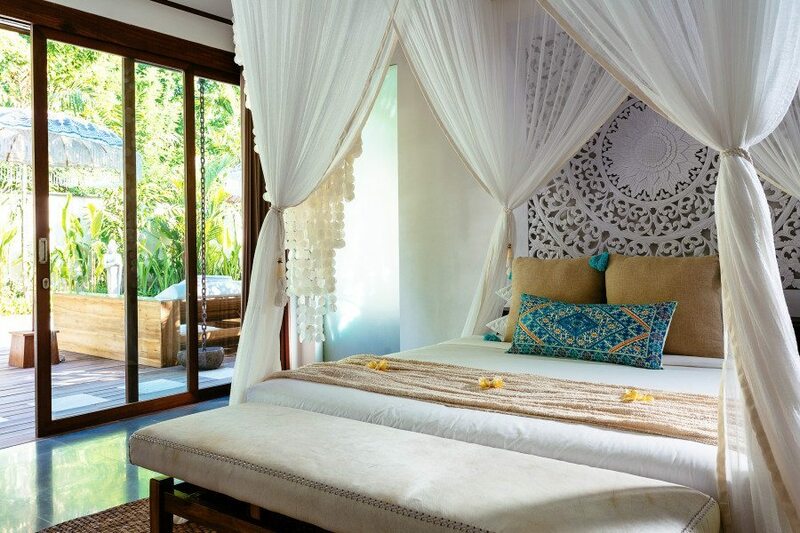 Beautiful bedhead and whimsical mosquito nets and large photographic artwork of the old Bali give this room a hint of beauty and drama. 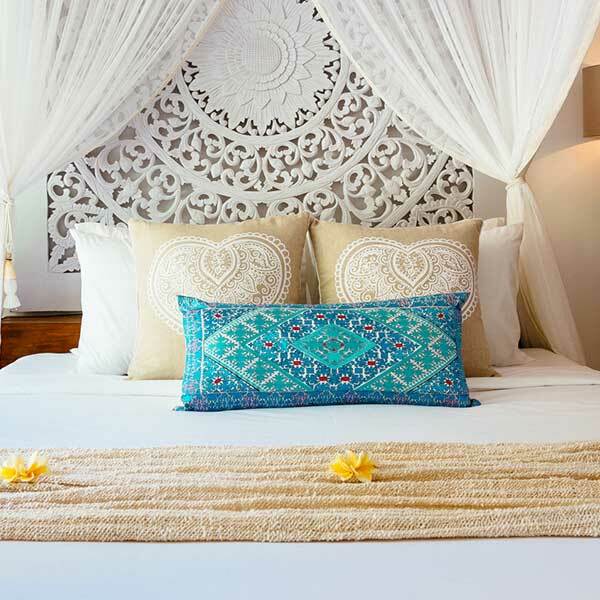 Upgrade to our Deluxe room for a true sanctuary retreat. 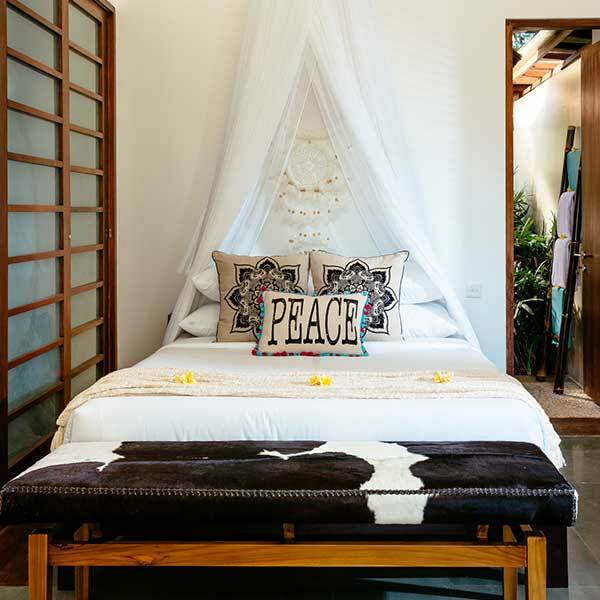 A gorgeous large bedroom overlooking the pool and massage bale for ultimate relaxation. 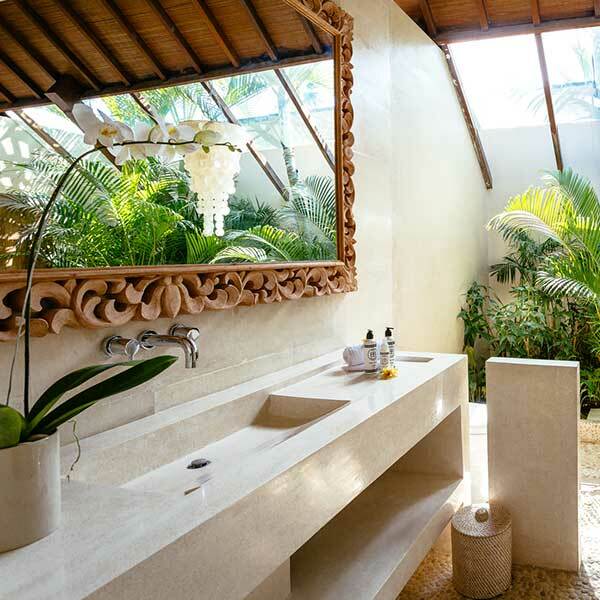 Beautifully appointed both in the bedroom with Luxurious Beautiful Simplicity and the bathroom with signature Indoor / Outdoor Bathroom and shell chandelier overlooking the bath next to a gorgeous tropical garden. 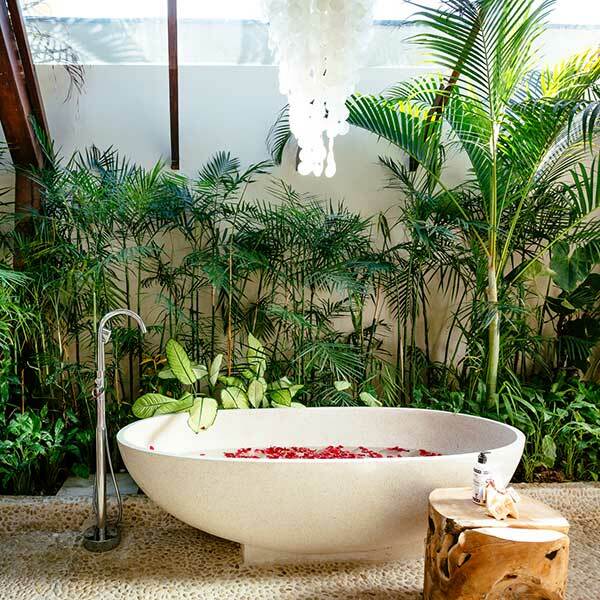 As always at Bliss it is about the ‘feel’ of the room and this one is designed for ultimate wellness and relaxation in mind. 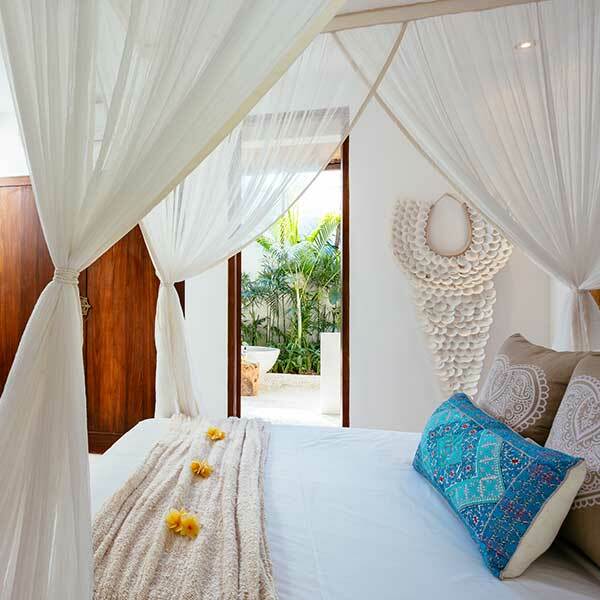 Beautiful bedhead and whimsical mosquito nets give this room a fresh luxurious feel. 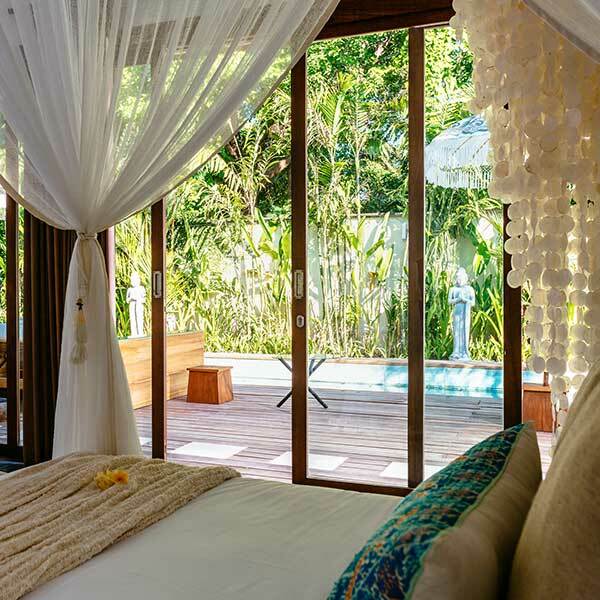 Treat yourself and Upgrade to our King Size Pool Room! 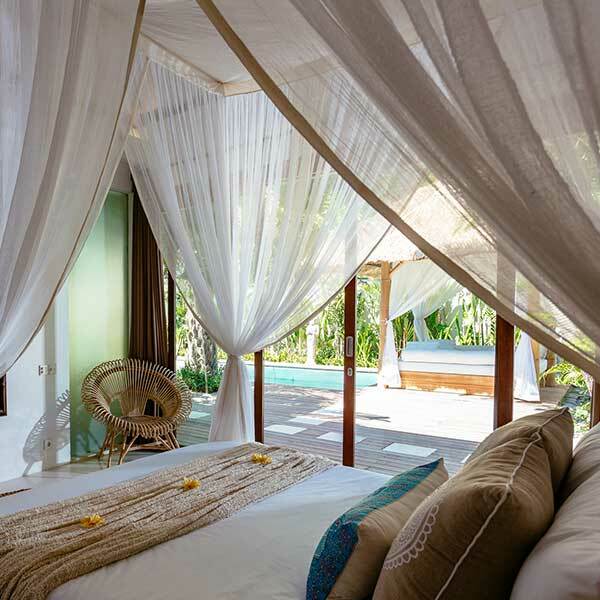 These cozy retreat rooms are ultra private sanctuaries with gorgeous designs and extra comfortable King beds with mosquito net. 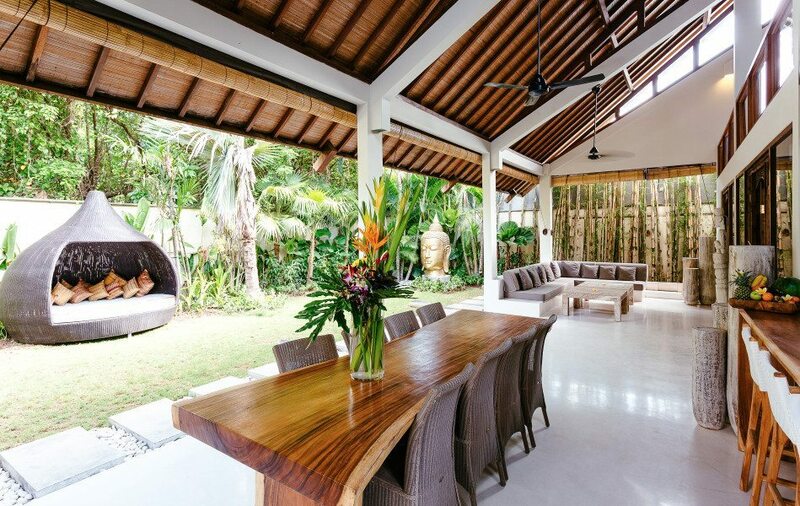 Looking onto an outdoor seating area and gorgeous tropical garden and gold buddha head. 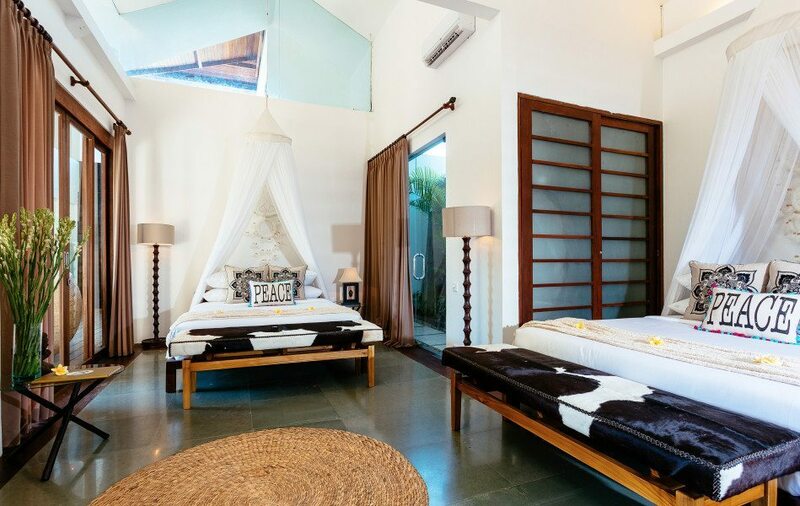 The quietest and furthest rooms from the main area of the sanctuary, but still only 10 metres away so everything is easy and gorgeous and quiet. 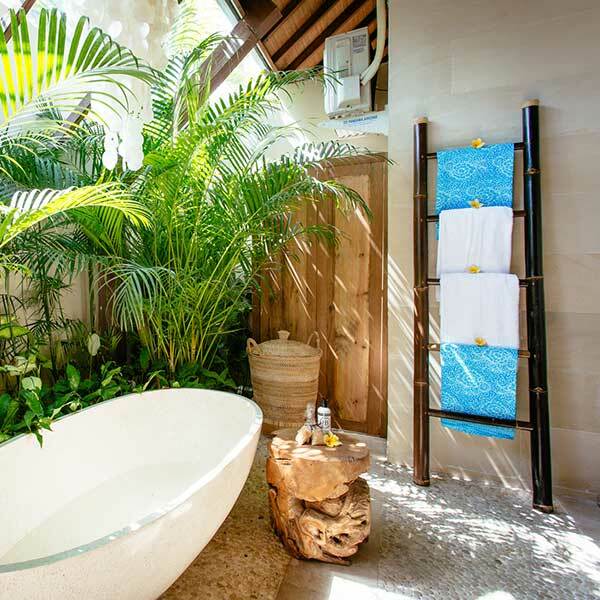 The ensuite bathrooms are huge and a gorgeous retreat in themselves with our signature stone baths and large rain head showers complete with tropical garden. 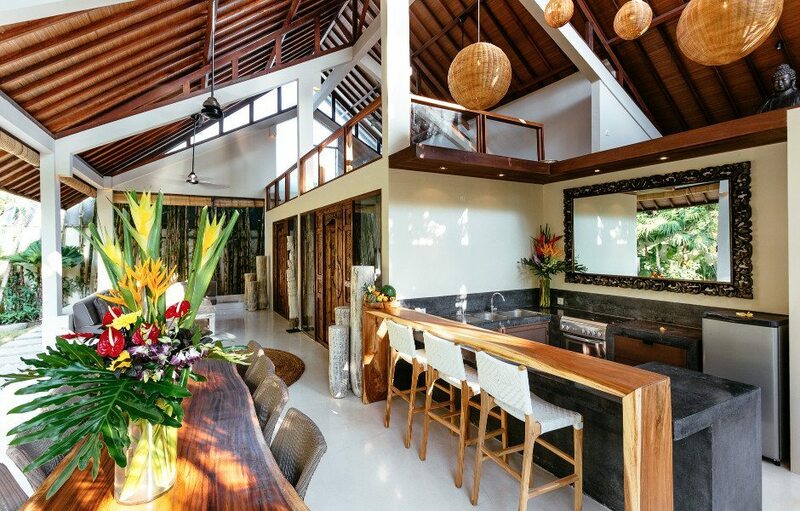 A beautiful garden oasis with all the comforts of airconditioning, TV/ Pay TV / DVD, & more. 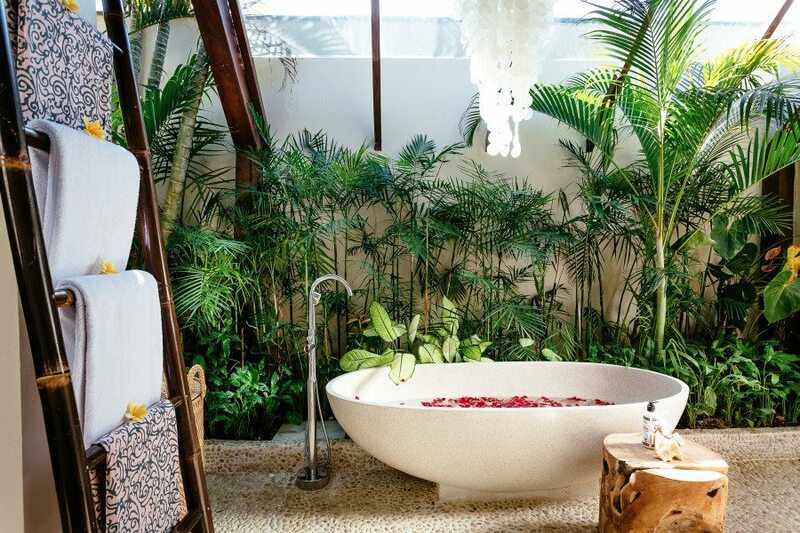 I am so proud that this Villa has been featured in Hospitality Interior Magazine as this Luxurious Modern Bohemian style Sanctuary has been designed with love. 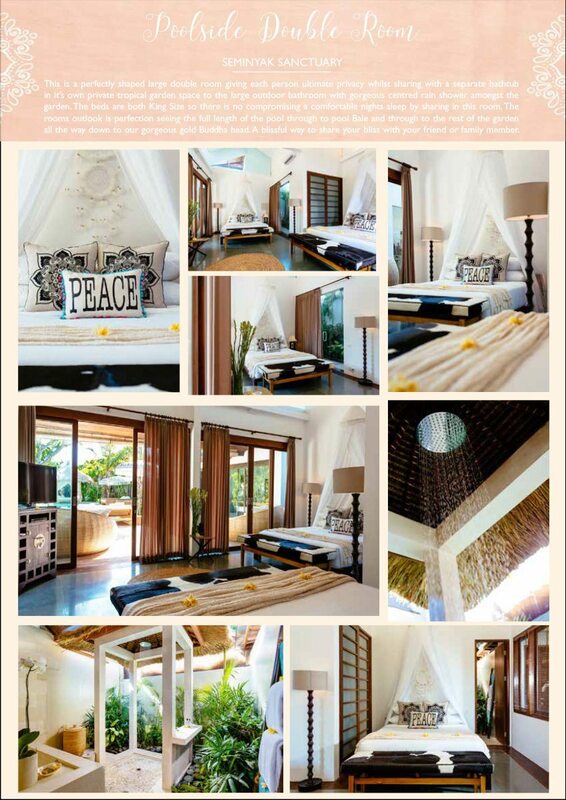 It’s a Modern Villa with traditional Bali retreat design aesthetics and I loved designing every inch of this villa. 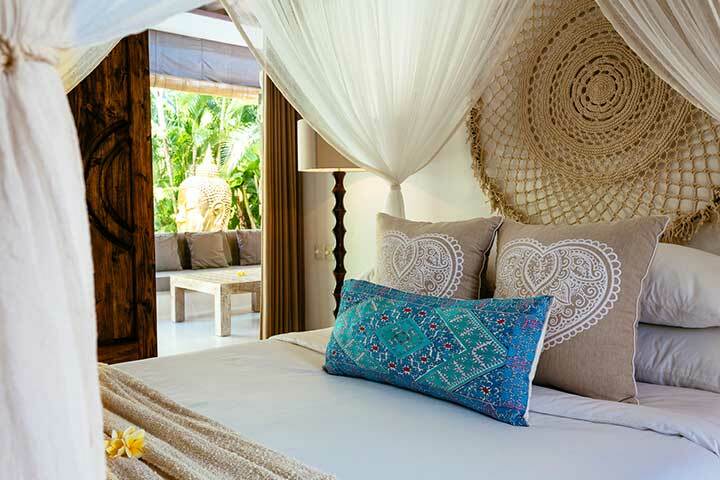 Our renovation brings together an environment for ultimate relaxation, fun and blissfulness. 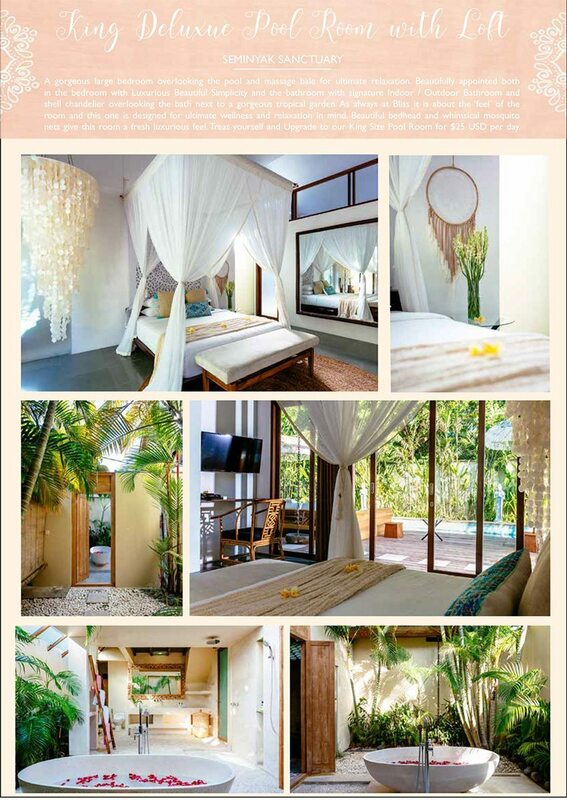 I am so proud that this is Bali’s premier award winning Wellness retreat Villa. 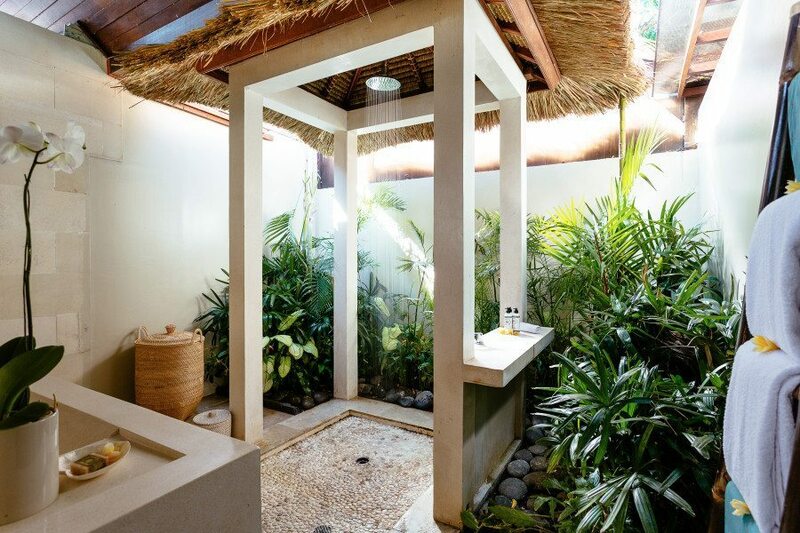 We are located in a quiet culdesac yet only a 3 minute walk to Seminyaks sought after shopping and restaurants. 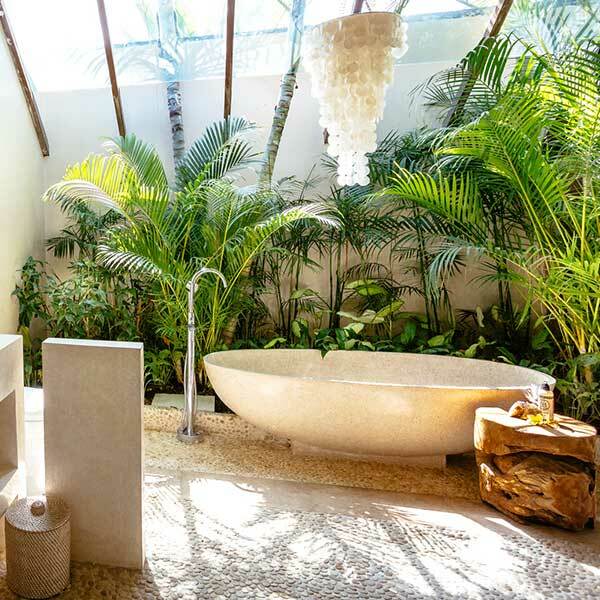 Peaceful within and fun at your fingertips. 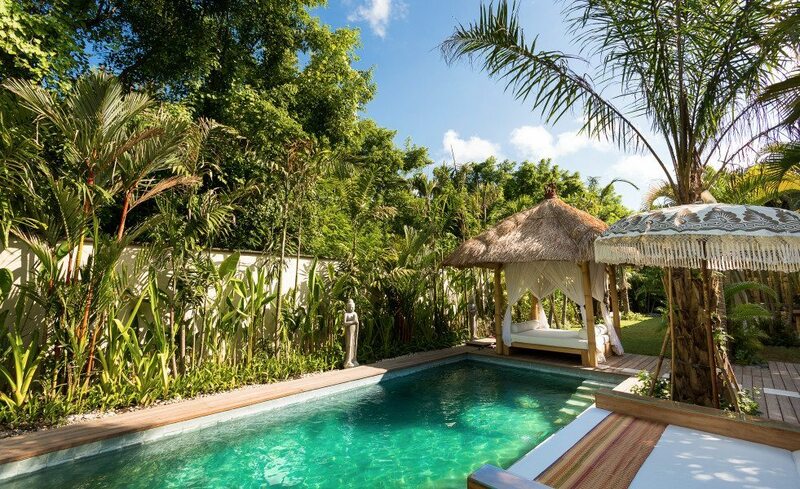 We have great chillout areas which I have designed with oversized comfortable sun lounges perfect for massages around the pool and a gorgeous meditation pod in our lush tropical garden. 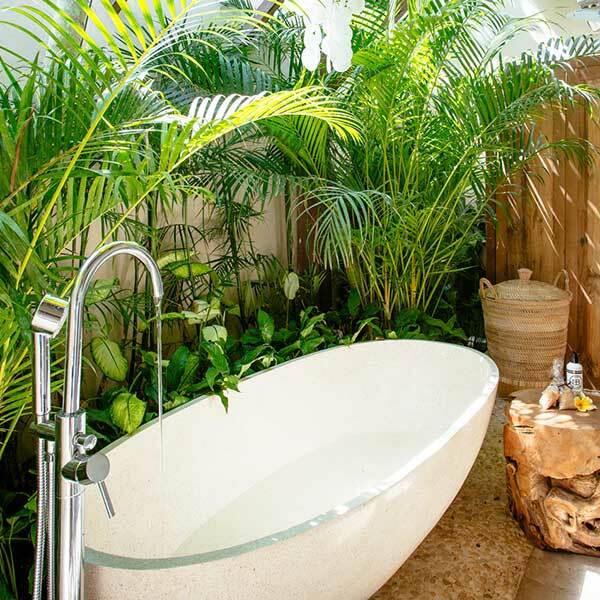 Each ensuite bathroom is a huge indoor / outdoor beauty and designed with its own private garden and signature stone bathtub allowing your own private sanctuary with beautiful fragrance flower bath to relax in. 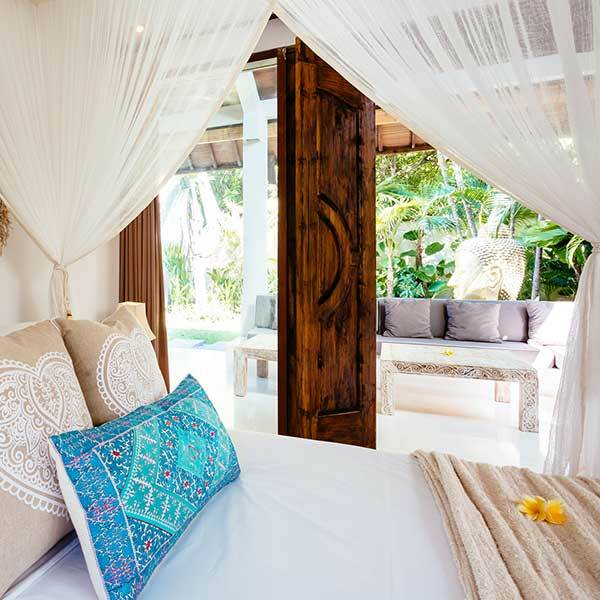 We have beautiful large comfortable beds with romantic headboards and flowing mosquito nets, so each room is your own private sanctuary created to enhance your stay with a great nights sleep in gorgeous surroundings. 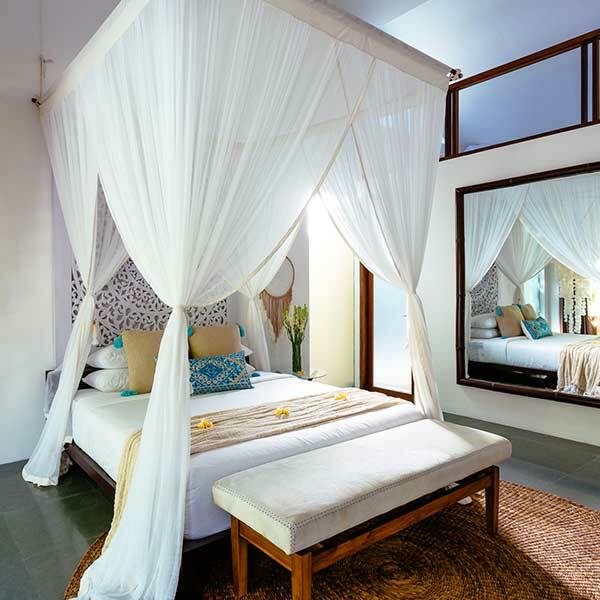 A gorgeous yoga retreat environment with a huge mezzanine yoga area. 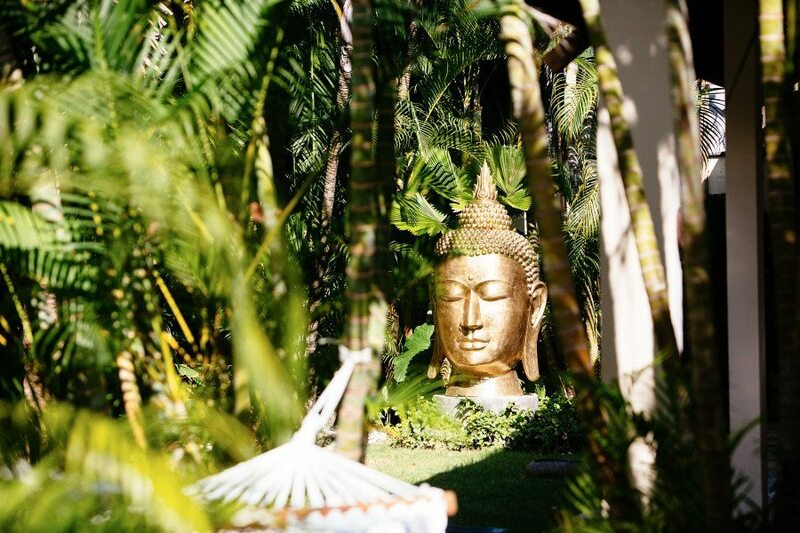 Beautiful Buddhas are found in different spaces throughout the sanctuary adding to the wellness and healing vibe which I personally love so much. 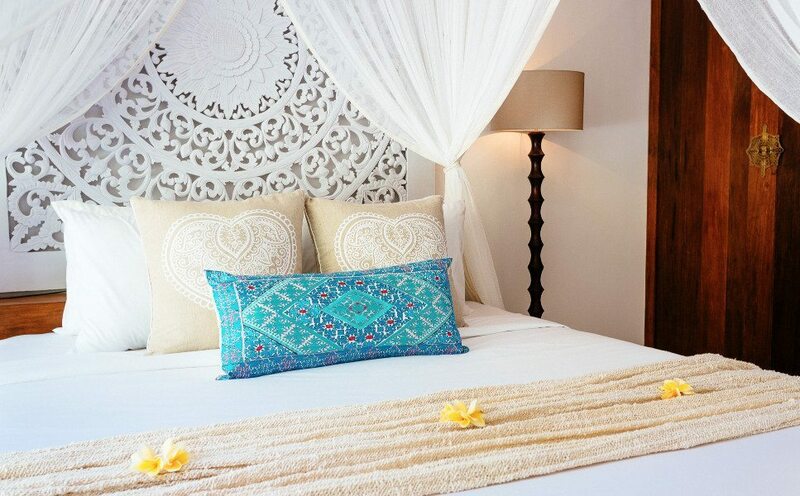 Cream and gold is my favourite aesthetic and I have bought this together with different textures and spaces. 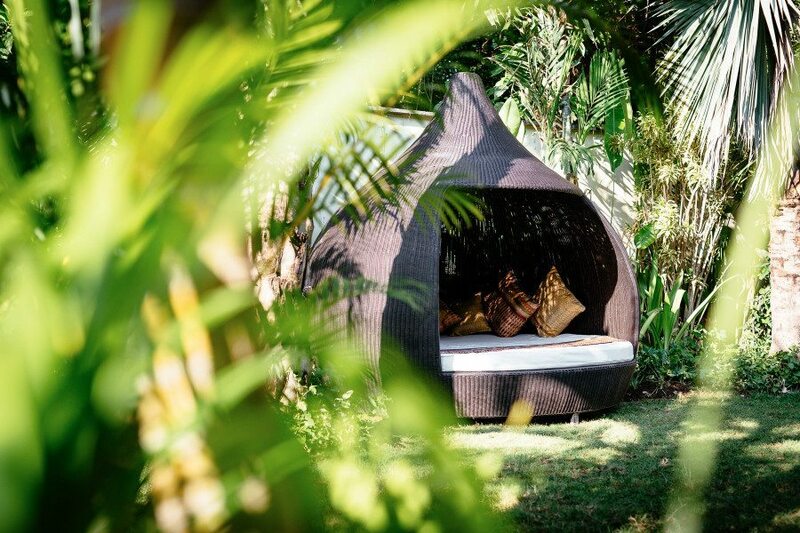 So many guests love to have their massages in our poolside bale which is the most perfect place to relax and find your bliss in this relaxation retreat. 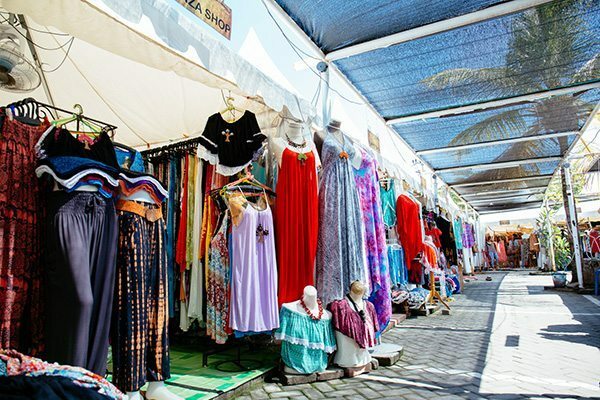 We are so close to different beachfront Cocktail spots and it is shoppers paradise for those who don’t like to sit still. 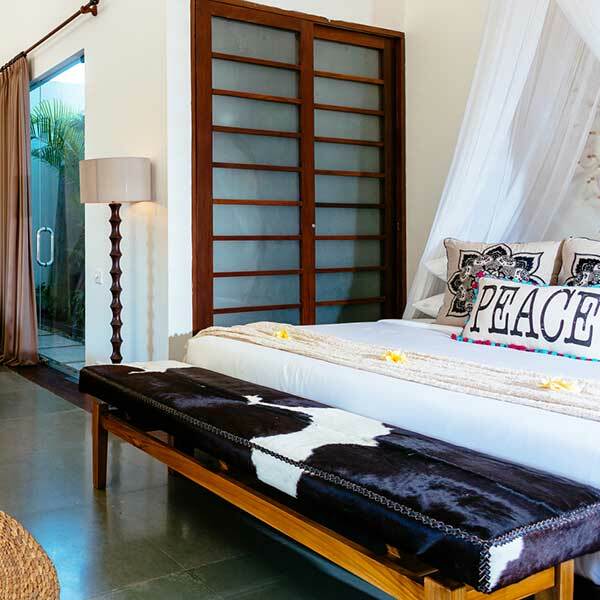 But for those who do if you stay within, you will love the peace in this amazing spot which I chose by it’s ‘feel’ and ‘flow’ which I have only further enhanced with our gorgeous interiors. 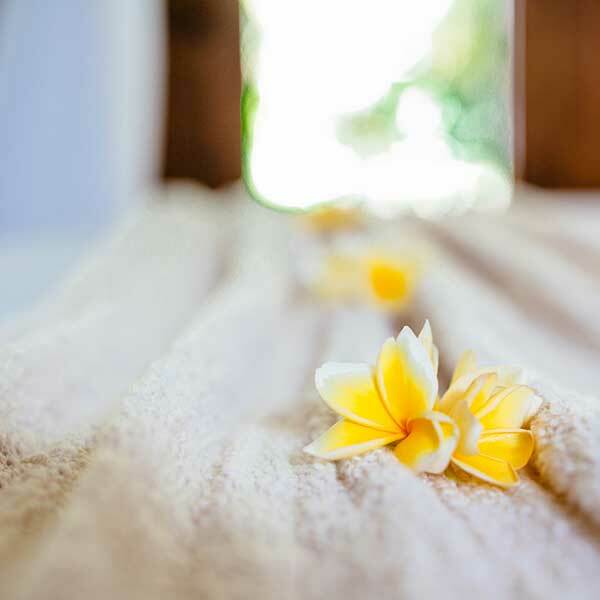 Our Seminyak Wellness villa is always in high demand and we hope you love it as much as so many of our Blissful guests have, which is why we are so blessed that they keep returning. 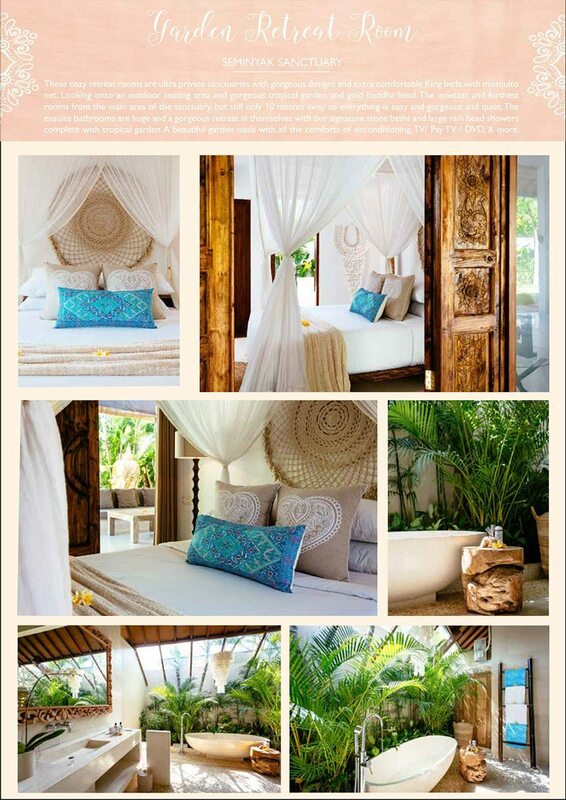 I am so proud that this Villa has been featured in Hospitality Interior Magazine as this Luxurious Modern Bohemian style Sanctuary has been designed with love. 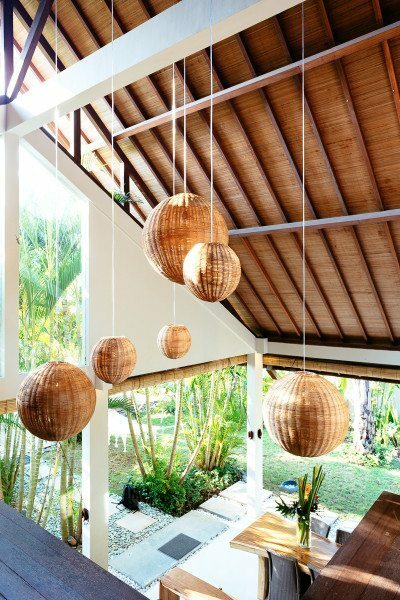 It’s a Modern Villa with Modern Bali design aesthetics and I loved designing every inch of this villa renovation bringing together an environment for ultimate relaxation, fun and blissfulness. 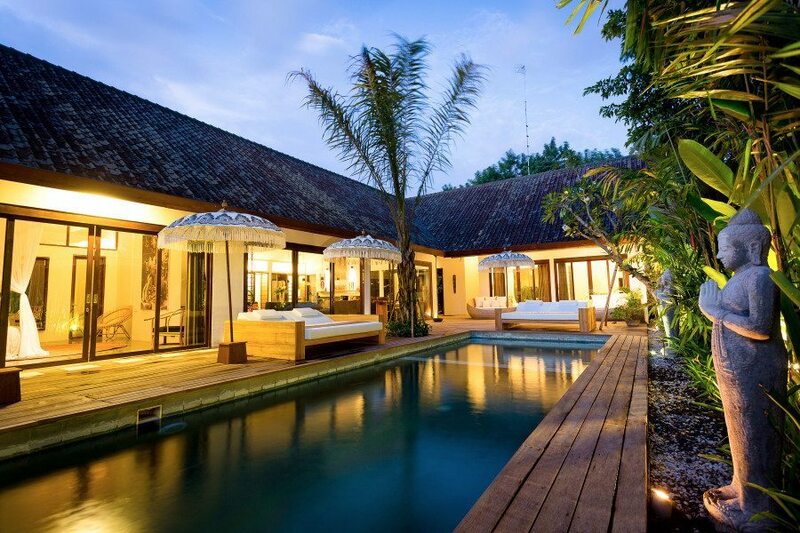 I am so proud that this is Bali’s premier and award winning Wellness retreat Villa located in a quiet culdesac yet only a 2 minute walk to Seminyaks hustle and bustle of shopping and restaurants. 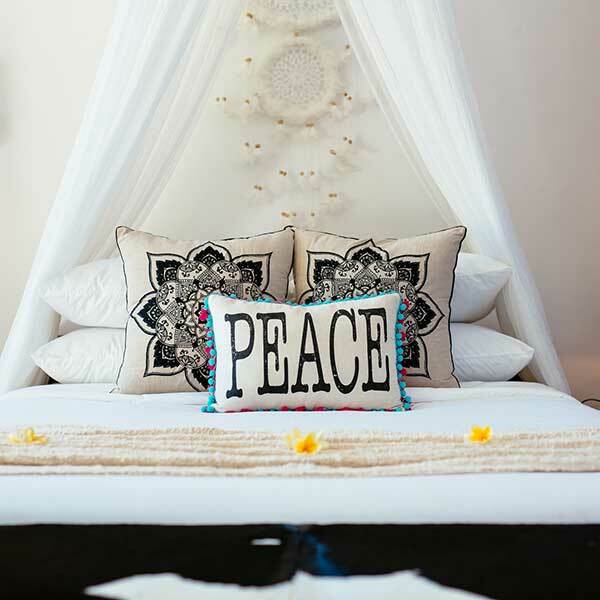 Peaceful within and fun at your fingertips. 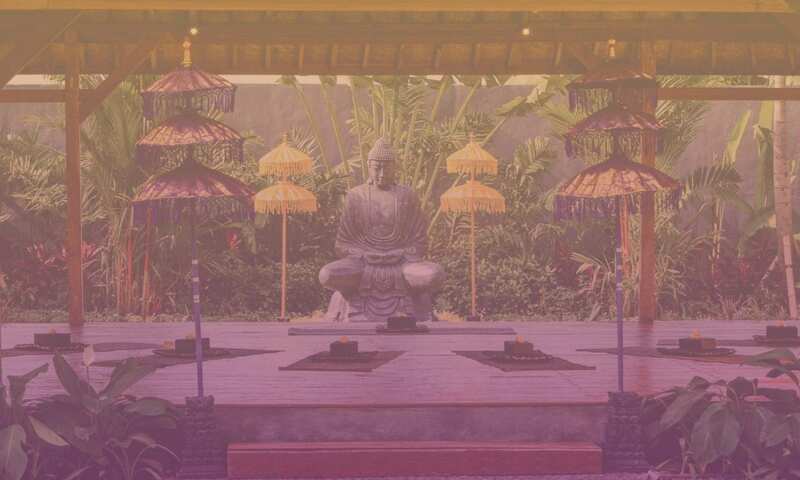 A gorgeous huge mezzanine yoga area with beautiful Buddhas in different spaces throughout the sanctuary adds to the wellness and healing vibe which I personally love so much. 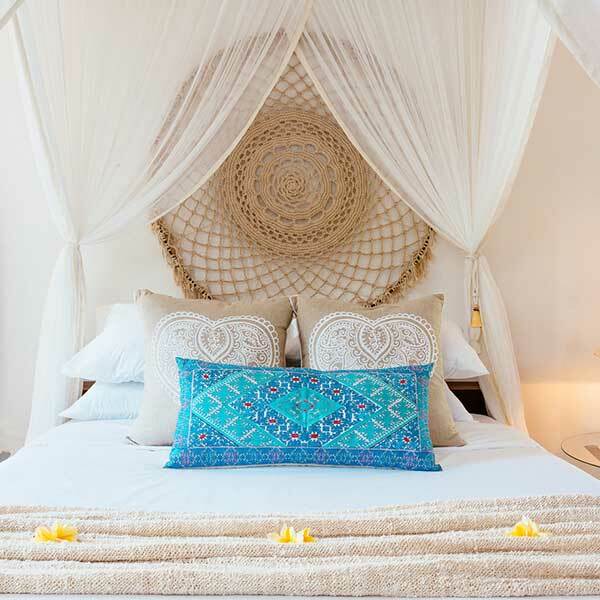 Cream and gold is my favourite aesthetic and I have bought this together with different textures and spaces. 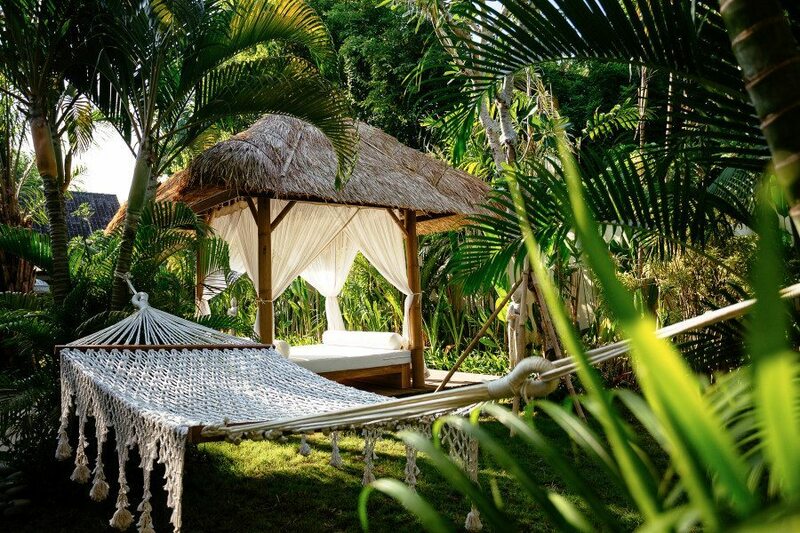 So many guests love to have their massages in our poolside bale which is the most perfect place to relax and find your bliss. 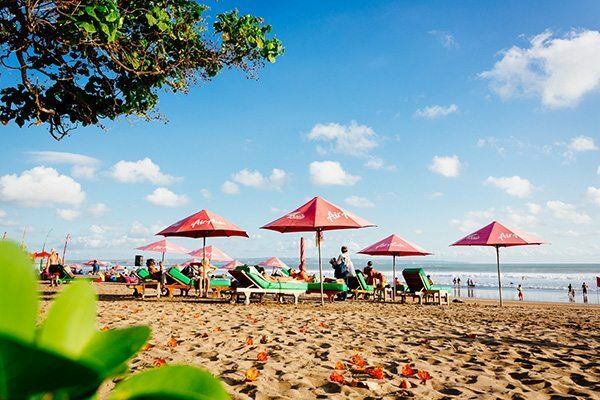 We are so close to different beachfront Cocktail spots and it is shoppers paradise for those who don’t like to sit still. 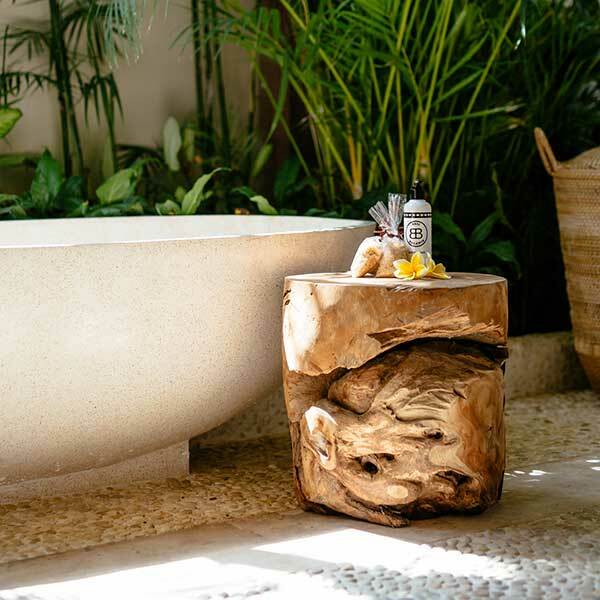 But for those who do if you stay in the whole time you will love the peace in this amazing spot which I chose by it’s ‘feel’ and ‘flow’ which I have only further enhanced with our gorgeous interiors. 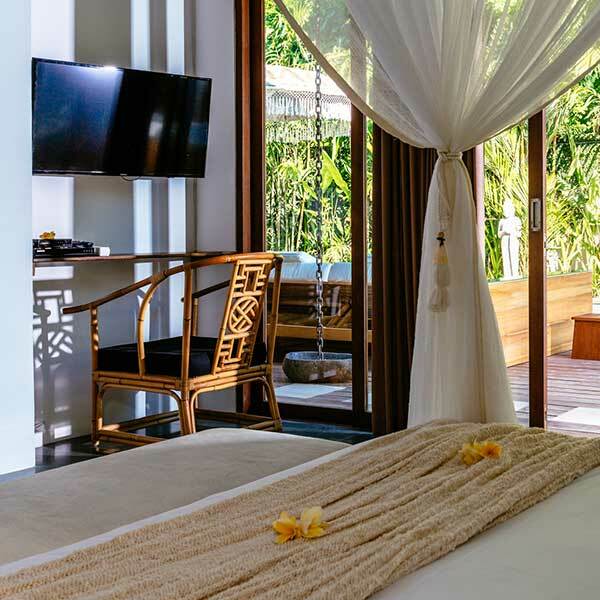 Our Seminyak Wellness villa is always in high demand and we hope you love it as much as so many of our Blissful guests have.